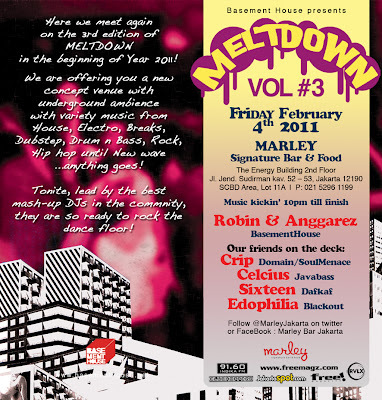 Here we meet again on the 3rd edition of MELTDOWN in the begining of year 2011! Rockm Hip hop until New Wave... anything goes! Tonite, Lead by the best mash-up DJs in the Community, they are so ready to rock the dance floor!